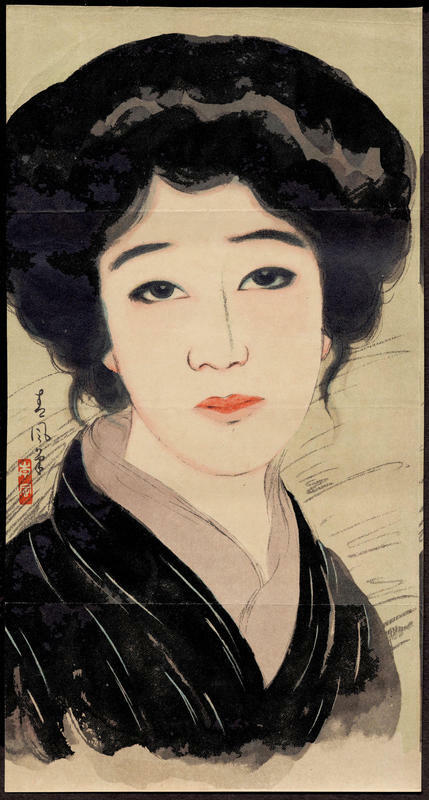 Katayama Nanpu (1887.9.12-1980.12.30) "Bijin" - Lithograph - Chinese and Japanese woodblock prints for sale, silkscreen, scrolls, watercolor, lithographs. Artwork Details for Katayama Nanpu (1887.9.12-1980.12.30) "Bijin"
Condition: Fine. Usual kuchi-e folds. Notes: Looks to be a lithograph but it may be offset-printed.